Excelerator is the ultimate Excel add-on built specifically for Sage 200. In only a single click, data can be validated and updated to Sage 200 seamlessly. This will cut your businesses data processing costs by up to a massive 50%. The great thing about Excelerator is that almost everyone knows how to use Microsoft Excel, so using this module comes as second nature. Making use of Excel’s powerful, familiar features such as autocomplete, formulas, graphs and more… you will be up to speed in absolutely no time. Most people know how to use Microsoft Excel, which is why it is so easy and natural to use Excelerator. Utilise your existing knowledge to save time on your Sage 200 processes. “Excelerator is a ‘must have’ for any organisation using Sage” Keith Brown, Youth Hostel Association, Head of Technical Services. By making use of Excel’s powerful features and tools such as autocomplete, formulas and graphs, you can cut down time wasted on mundane day-to-day tasks. Allowing you to focus on more important aspects of your business. 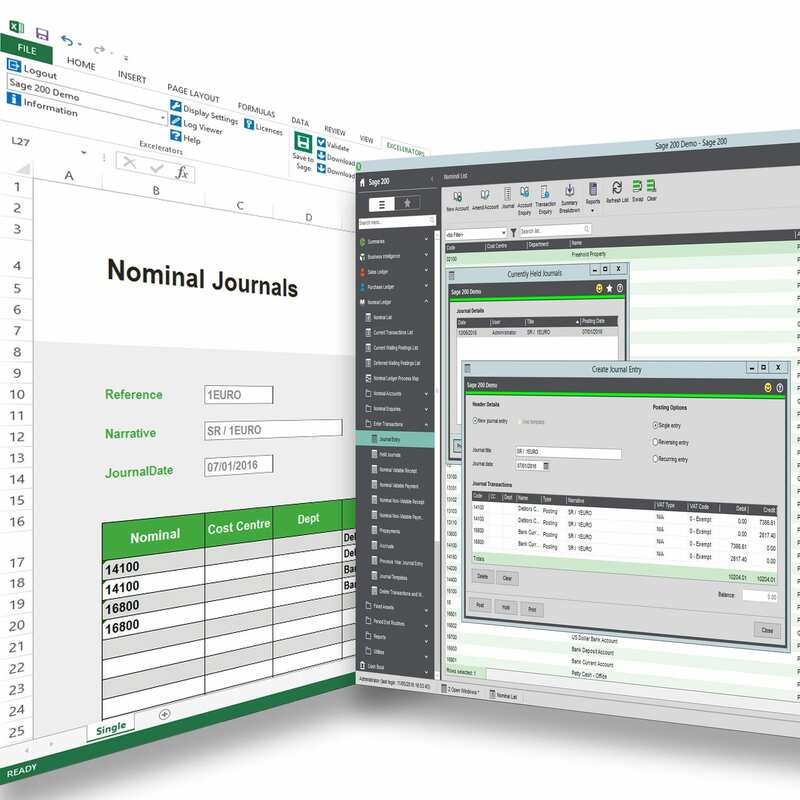 Excelerator also features the Spreadsheet Designer, which allows you to take any old spreadsheet and convert it effortlessly into a template for Excelerator. If you don’t want to make your own, straight out of the box, you are provided with a library full of pre-built templates for you to use.